Staying at The Wauwinet, a Nantucket Island Resorts property, is akin to being marooned on a remote island with impeccable service. 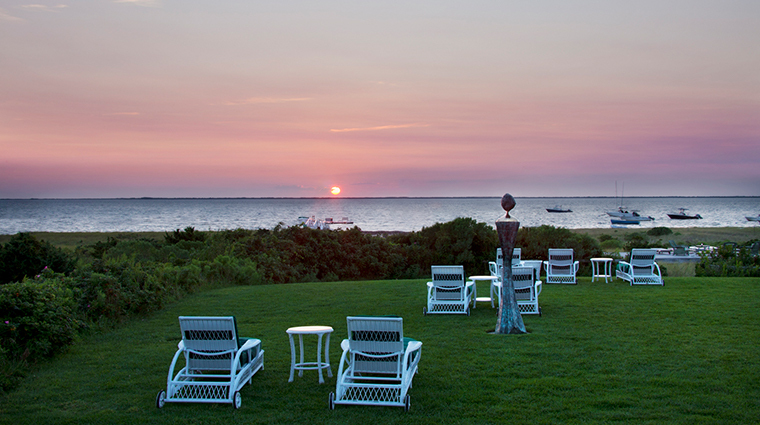 Built in 1876 by ship captains, the Four-Star Wauwinet is a grand but intimate resort, with 32 sophisticated rooms, four cottages and two private beaches fronting Nantucket Bay and the Atlantic Ocean. Enjoying either peaceful stretch of sand is as easy as pulling out the beach chairs from beneath your sky-high, Pratesi-topped bed. 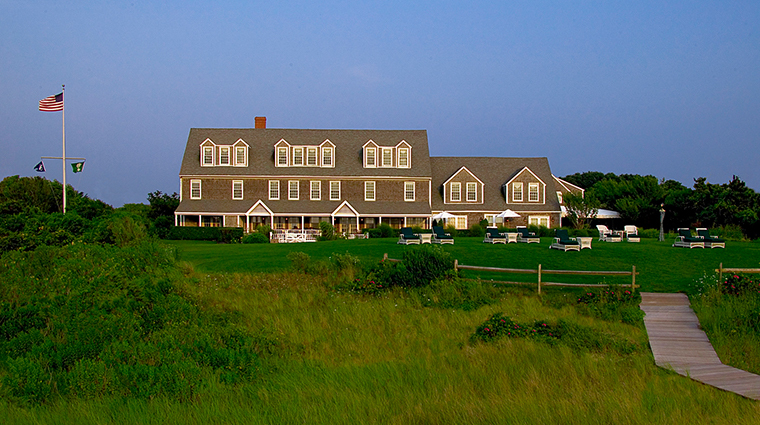 Few luxury hotels are as private or as quiet as The Wauwinet; it’s nine miles, but worlds away, from Nantucket Town, and children under 12 are not permitted. Guests come here to unplug while enjoying graceful accommodations and fine dining. One of the best things about The Wauwinet is the restful atmosphere. With only 32 rooms and located nine miles outside of Nantucket Town, the peaceful property doesn’t allow kids under the age of 12, ensuring a quiet escape. The inn has two separate beaches, which allow you two options for beach time. The beach closer to the hotel is the bay side beach, while the other beach faces the Atlantic. Both are spectacular and quintessentially Nantucket. There’s always something to do, such as biking or playing tennis on the grounds’ clay courts. Indoors, activities range from board games to cooking demonstrations at Topper’s. The inn has island life down to a science — it’s fully prepared for the sunniest of days, but with plenty of gear to help you stay dry in the rain. Raincoats, wellies and umbrellas are available to help you brave the elements. From the concierge and the restaurant’s waitstaff to the shuttle drivers, the staff are always ready to discuss the day’s weather, the available activities or the best dishes to order at Topper's. The concierge staff have an extensive knowledge of the island and can easily offer suggestions on the best dining, bars and sights in town. The downstairs library serves coffee in the morning (in case you need a fix before your complimentary continental breakfast), iced tea in the afternoon, and port and cheese by evening. Other activities include two clay tennis courts, complimentary bicycles and shuttles to town, the Wauwinet Lady boat (on which you can experience lobstering) and tours in the property’s 1947 Chevy Woody. A roaring fireplace, board games, playing cards, a selection of books, a catalog of more than 200 DVDs — The Wauwinet has indoor activities as covered as outdoor activities. Curl up with a novel, work on a puzzle or play a game of chess to wind down after a day of sightseeing. 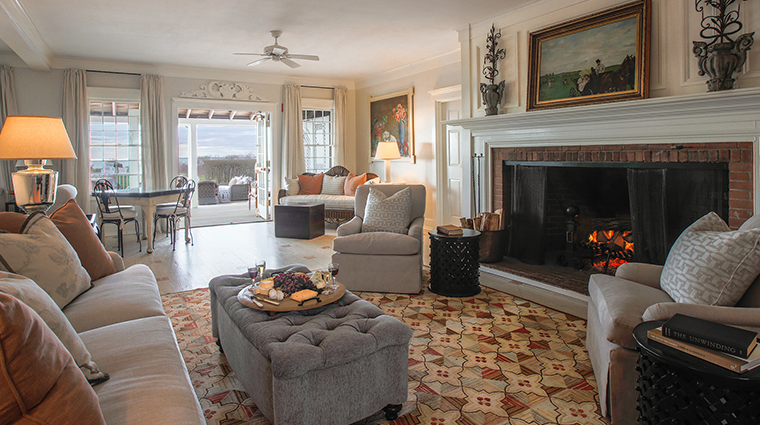 Each room is uniquely decorated with luxe fabrics, fresh flowers (orchids, on a recent visit) and whimsical touches such as table-top dog sculptures, a nod to the Welsh terrier for whom Topper’s, The Wauwinet’s Four-Star restaurant, was named. The attention to detail is exceptional. Twenty-five personalized note cards are placed on each guest’s bed prior to arrival. Luxurious amenities include plush cotton robes, Pratesi by Rivalta Carmignani bed linens, aromatherapy bath products, climate control, HD flat-screen TVs and CD/DVD players. Dining at Topper’s is an experience in itself. Under the direction of executive chef Kyle Zachary, the seasonally inspired menu shines with local seafood and produce. Topper's offers a la carte and prix fixe menus showcasing seasonally inspired cuisine with an emphasis on local produce and seafood. Try the locally harvested Retsyo Oysters on the half shell, cultivated just 300 yards away. Each dining experience is tailored to your mood — you might sit in the formal dining room, on the more casual bayside deck or in the bar, or arrange for a group lobster bake. The drink list at Topper’s is as exquisite as the food: The 20,000-bottle wine cellar has won the prestigious Wine Spectator Grand Award many times over, and The Wauwinet even released its own single-malt whiskey in 2013 to commemorate its 25th anniversary.